Jet black, yet showing little evidence of roast character . . . more like brown sugar like sweetness. According to Great Divide’s website, “Yeti Imperial Stout is an onslaught of the senses. It starts with big, roasty malt flavor that gives way to rich caramel and toffee notes. Yeti gets its bold hop character from an enormous quantity of American hops. It weighs in at a hefty 75 IBUs.” There are many variants to the Yeti base beer including the famed barrel-aged version. Old Dominion Brewing Co.’s Oak Barrel Stout clone (5 gallon/19 L, all-grain) OG = 1.056 FG = 1.017 IBU = 52 SRM = 61 ABV = 5.1% Ingredients 8 lbs. 1 oz. Oatmeal stout is traditionally an English style, although there are more and more “Americanized” versions available. 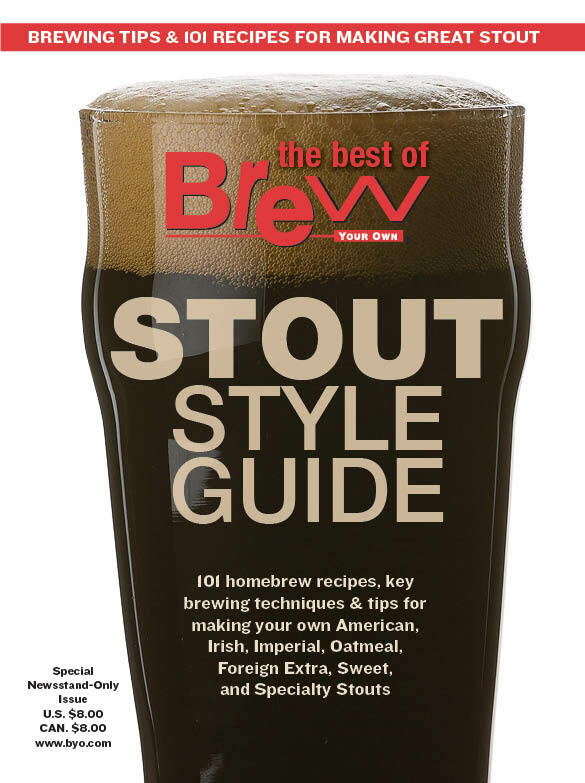 Oatmeal stout uses oats to build body and add a touch of silkiness to the mouthfeel.